Do you have dreams of creating a novel eco friendly home? Or living in a unique geodesic dome house? Have you been inspired by the works of Buckminster Fuller? 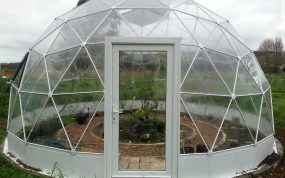 Maybe you are considering the ultimate eco home and want to use our dome as a shelter over a self build home and garden. 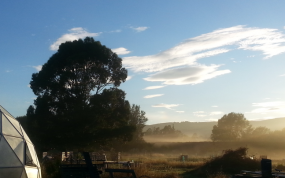 Or perhaps you want to create a stunning self build house and incorporate a dome structure. With our SOLARDOME® PRO architectural system, all of this and more is possible. SOLARDOME® PRO domes can be clad with any type of material, meaning we can build to your specific requirements. They can incorporate single glazed, double glazed, opaque and insulated panels into the design. With our SOLARDOME® PRO architectural system we can make your grand designs a reality and create a perfect, unique and elegant self build dome home. The system enables us to produce bespoke geodesic domes up to 25m diameter and with no internal structures or deep foundations, they can be built quickly and cost effectively. 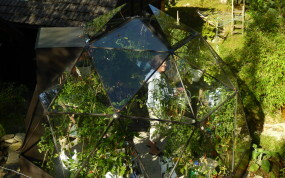 My Solardome® glasshouse has proved to be a world in itself. If the rest of the garden was abandoned, the dome would provide gardening and leisure enough on its own.